Material: Lining: 100% polyester. Upper part: 100% polyester. Lower part: 100% polyester. Incredibly beautiful dress from CHIARA FORTHI. The top is made from pretty embroidered lace and a satin ribbon emphasizes the waist. 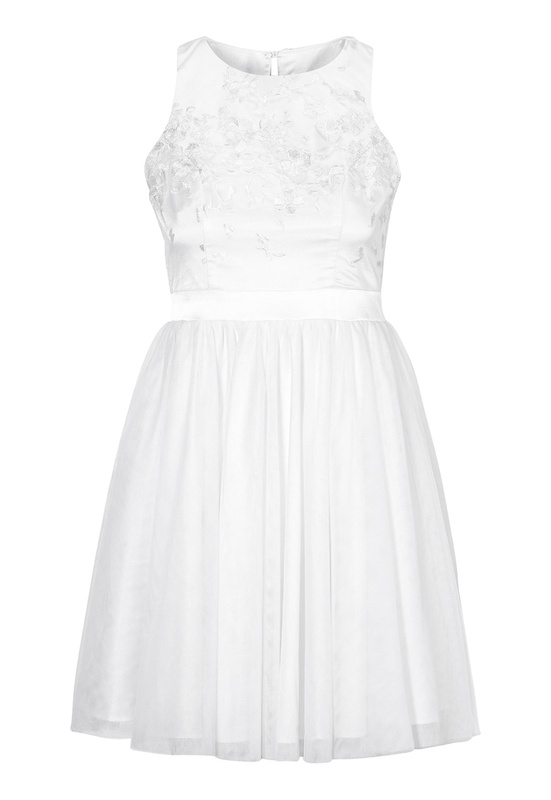 The dress is made from fine tulle with many layers and is perfect for graduation and summer parties! - Concealed zipper and keyhole opening at the back. Full length of garment is 88 cm in size 36: 89 cm.